This topic contains 5 replies, has 6 voices, and was last updated by Bang tidy 4 months ago. Been a lurker on this forum for at least a good year, seeing everyone else’s transformations and doing my research. I have been fully bald on top for 5+ years and i knew i 100% wanted the treatment but was just building up the courage. Finally after going for a consultation with what feels like every clinic in England I found Skalp to be the most professional and had the most natural looking treatments I’ve seen anywhere, I started my treatment in January at the Skalp London clinic and I am happy to report I am even happier than I could of imagined, Even I can admit to myself I am very picky so I knew they would have to get it spot on. Leon was my practitioner and he has delivered in every way, I did try to warn him I am a perfectionist and he laughed and said he’s used to it as every wants their hairline to be their version of perfect. I used to read on the forum from almost everyone that had it done saying why did they wait so long and they should of done it years ago. Now having it done myself I am now one of those guys. Why the hell did I wait so long lol. 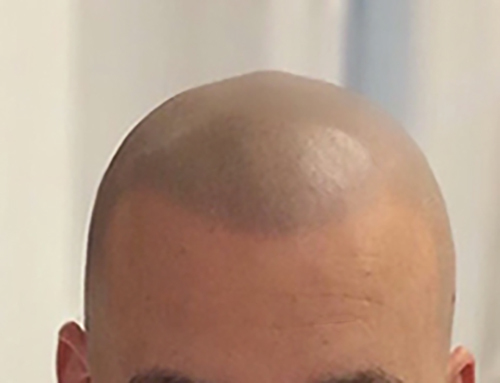 Anyone thinking about having it done, I know how you’re feeling but seriously, the only question you need to ask yourself is would you prefer to look bald or prefer to have a hairline and look like you have a shaved head? Pretty obvious to me now I’ve had it done. Thank you Skalp and big thank you to Leon. Here is my pic 2 weeks after the 3rd session. Nice natural result mate ? ?